Everyone is an individual with different skin types and facial structures. Just as there are no two snowflakes that are identical, neither are there two people that are exactly identical. We all age differently as well. This means that candidates for eyelid lift surgery have different needs and these different needs require different types of eyelid surgery. Blepharoplasty, or more commonly known as an eyelid lift procedure, generally falls into three different types of surgery. The type and placement of the incision is an indicator of the type of blepharoplasty surgery it is. 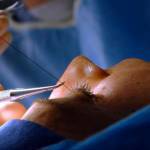 The first type of common blepharoplasty surgery is referred to as an upper eyelid surgery. It mainly works to improve functionality. When people age the upper eyelid can lose its elasticity and begin to droop and even invert in some cases. This has an effect on the eyelid’s functionality. It impairs vision and makes activities such as reading, driving, or writing difficult or even impossible. Having an upper eyelid surgery performed can increase the functionality of the eyelid, as well as improve the aesthetic. This surgery is effective for correcting problems with the eyelids, including functionality. The surgery will often last between one to two hours and the recovery time typically takes one to two weeks. The effects will last generally eight or more years. The second kind of common eyelid lift procedure is called a lower eyelid blepharoplasty. This type of procedure is performed on the lower eyelid. It is often used to diminish the look of bags under the eyes. It can also decrease the appearance of wrinkles underneath the eyes as well. The lower eyelid surgical option is an excellent choice for those looking to address bags under their eyes or the appearance of troughs. The surgery will typically last for about one to two hours. You can expect a recovery period between ten days to two weeks. The effects will often last for eight or more years. The third type of well-known eyelid lift surgery is referred to as a combination blepharoplasty. This type of eyelid lift surgery addresses both areas of the eye and includes the upper and lower eyelid. It can create a refreshing, youthful appearance by improving both sections of the eye. A combination eyelift can also be done in conjunction with a brow lift that can improve the look of wrinkles just above the eyes. The amount of time required for this type of surgery typically takes one to three hours. The recovery period can last anywhere from ten days to two weeks. It targets the upper and lower eyelid areas for an all-around more rejuvenated and youthful appearance. Results from this type of eyelid lift surgery typically last for eight or more years. Which type of eyelid surgery should you get? After reading the differences in the three main types of eyelid surgical procedures you may have an idea of which one would work for you. However, a consultation with a professional surgeon will be the best way to determine which solution is the most ideal for your case. 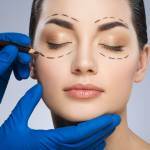 How is an Eyelid Lift Procedure Performed? 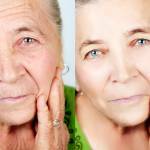 Does a Facelift Remove Wrinkles? What Are The Benefits Of An Instalift?